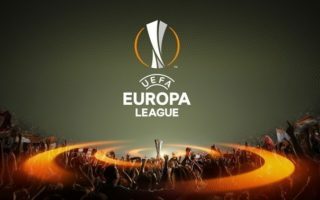 Manchester United face Zorya from Ukraine hoping to get their European campaign back on track. A disappointing defeat in Feyenoord has left United bottom of UEFA Europa League Group A heading into this clash. Zorya picked up a draw in their first Europa League clash against Fenerbache but will find life more difficult at The Theatre of Dreams. Nothing but three points will satisfy Jose Mourinho infront of United’s own fans. Comfortable home win at Old Trafford – Back a Manchester United Victory here. Ajax got their Europa League campaign off to a winning start with a lively clash away in Greece. The Dutch side picked up a 1-2 away victory which featured three red cards and a missed penalty. Standard Liege netted early when Celta Vigo visited but were unable to hold on to their advantage and settled for a share of the Spoils in Week 1. Ajax will enter this clash as clear favourites. Home win expected at The Amsterdam Arena – Back an Ajax Victory here. Hapoel Beer Sheva upset many Predictions by picking up an impressive 0-2 win at European giants Inter in Week 1. The Israeli side next face Southampton who also picked up a comfortable victory in their opening Europa League fixture. The Saints have won two consecutive Premier League outings and will be confident they can cause an upset here. Away win expected at The Turner Stadium – Back a Southampton Victory here.